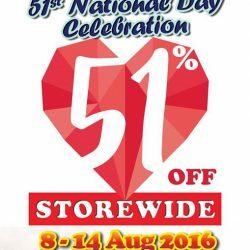 sOmang celebrates National Day with 51% Storewide discount from 8th to 14th August 2016. Hurry up!! Don't miss the chance!! sOmang is a holistic skincare brand from Korea with high quality products at attractive value-for-money prices. Their store at #B1-32, is having a #GSS sale with up to 70% off on selected products! Offer ends 30 June 2016 so don't miss out! Don't forget to prepare the Christmas gift for your friends and family. 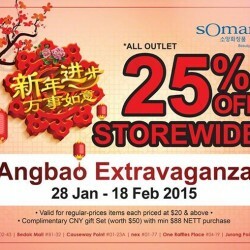 Visit sOmang outlet for Christmas Special! Free manicure set, free Danahan gift set, free RGII gift set. While stocks last! sOmang Mid-Autumn Special! 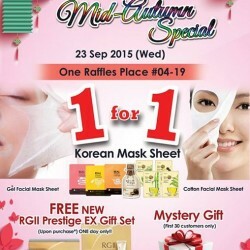 Buy 1 get 1 free Korean Mask Sheet! sOmang is celebrating its Mid-Autumn festival by having a special promotion exclusively only at One Raffles Place #04-19 from 11 am to 3 pm. Get their Korean Mask Sheet at Buy 1 get 1 free and the first 30 early bird shoppers will get their Mystery gift. For shoppers who spend more than $250 nett in a single receipt will receive their RGII Prestige Ex gift Set worth $99 for free. sOmang Promotion Special. Buy any 3 of their Korean Mask Sheet and get 2 Free! Exclusively only at sOmang AMK HUB and Jurong Point. Quality mask sheet from Korea to suit your skin beauty daily needs, keeping you young and radiant. Made in korea. 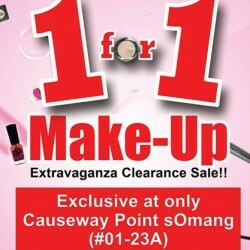 Enjoy Somang 1 for 1 make-up for beauty and health. Extravaganza clearance sale, exclusive at only Causeway Point Somang. Somang Celebrates Labor Day with U! 50% off for every 2nd item purchase!! sOmang Special April Treats! STOREWIDE BUY 3 FREE 1. Complimentary Gift sets upon $180NETT purchase. Visit them @ JP2 #01-23, CWP #01-23A, AMK Hub #02-43, Nex #01-77, ORP #04-19, until 30 April 2015. Hi sOmang Fans! 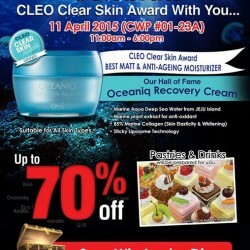 Their upcoming sOmang member event on 11th April, 11am to 6pm has finally come to Causeway Point (CWP #01-23A) . Don't miss out the exciting promotions and free gifts that they have lined up for you! Get up to 70% off Food and drinks will be available too! 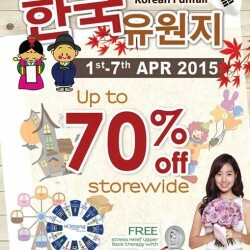 Get yourself ready for sOmang Korean Funfair at Bedok Mall Atrium, level B2 from 1st-7th April?! They are having up to 70% off on their skincare and cosmetic products only for this week at Bedok Mall! Don't miss the chance, come down now to shop with them! Somang offers Special Buy at SG50. Limited sets available! While stocks last! From NOW till 31 March 2015. 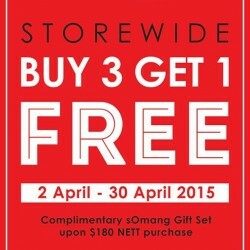 Simply spend $20 NETT on single receipt at any sOmang outlets and you enjoy FREE sOmang membership instantly. Check out their in- store promotions now! sOmang Fans! sOmang's member event on 14th March 2015 ( SAT) is now at Ang Mo Kio (AMK Hub #02-43) instead of NEX, from 11am to 6pm. Exciting promotions and free gifts lined up for you. Food and drinks will be prepared for you! So spend your saturday with sOmang and let their staffs know you better. 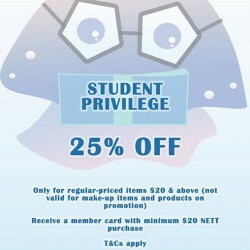 The greatest thing about being a student is that YOU get 25% off SPECIAL PRIVILEGES @ sOmang. LIKE them on FACEBOOK & SHARE with your friends NOW! Hey sOmang Fans! Wait no more, sOmang's first member event in 2015 at Jurong point JP2 #01-23 on 7th March 2015 ( SAT) from 11am to 6pm. Exciting promotions and free gifts lined up for you. 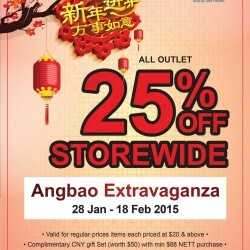 Do check out their ongoing 25% off in- store Angbao Extravaganza promotions in sOmang outlets NOW! Grab your sOmang CNY beauty treats today. Don't forget to pamper your loved ones on valentines day! Do check out their ongoing in- store promotions in sOmang outlets now! Grab your sOmang CNY beauty treats today. Don't forget to pamper your loved ones on valentines day! HEY! Come visit Somang outlets for the widest range of Korean cosmetics and skin care products. They only offer high quality, imported Korean products! Exclusive from sOmang @AMK Hub #02-43! $19.90 (U.P. $110) for sOmang Lovely Beauty Set and receive a complimentary Chrysalis facial voucher worth $198. Limited to the first 50 sets only.